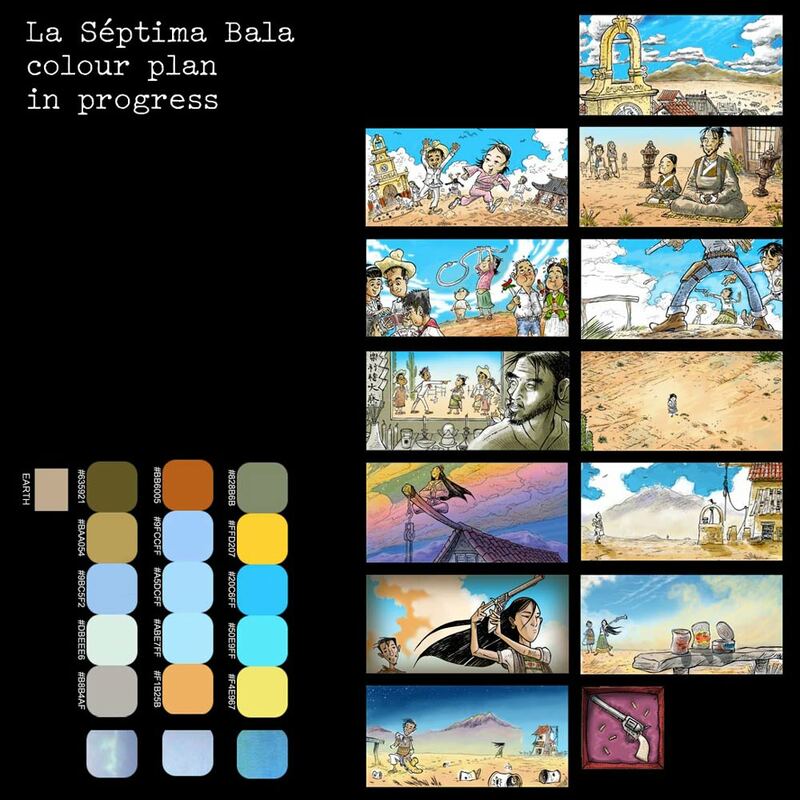 Two behind-the-scenes peeks at how René and I thought about the colours in the illustrations and storyboard for La Séptima Bala. 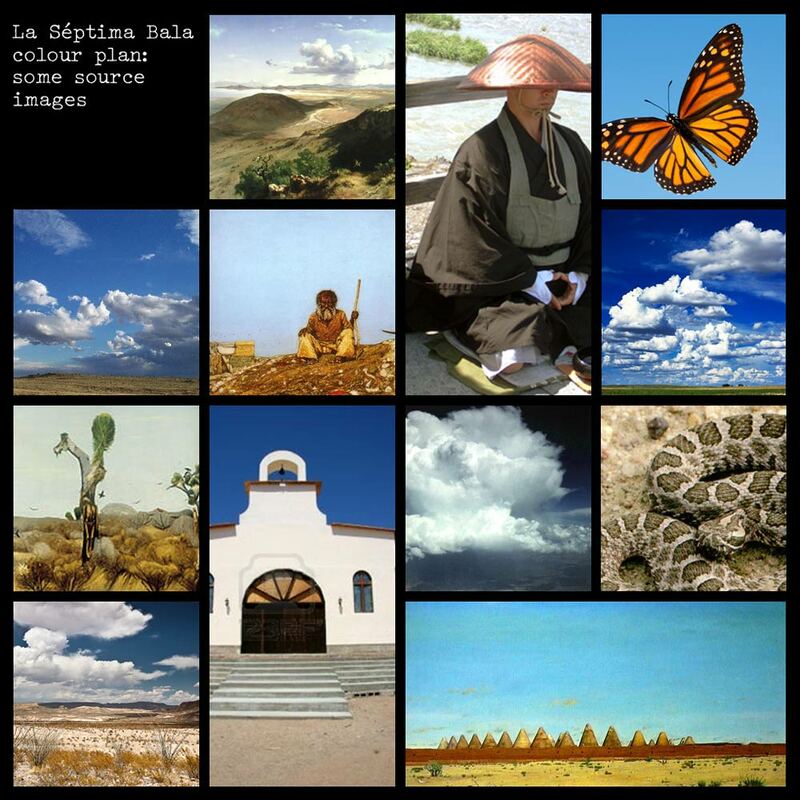 The first one shows the thumbnail-storyboard we ended up with as we agreed on each illustration’s colours, to check that it was working across the whole story as well as in the individual scenes. We also indicated on here (not shown) which one of us was allocated to actually colour each scene, once the colours themselves had been established.